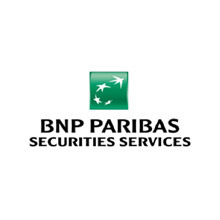 BNP Paribas Securities Services is implementing Smart Chaser, a trade matching tool using artificial intelligence (AI) and predictive analysis, to further automate trade processing services it provides to investment managers. According to BNP Paribas Securities Services, trade matching – the comparison of trade details between the client and its broker – must be performed in a timely manner or there is a risk a trade may require manual intervention or, in some cases, fail. It reckons that “intervention or failure is particularly likely if a trade is not settled on the day of execution”. Smart Chaser will predict the likelihood that a trade will not “match” automatically and will therefore require manual intervention. With the tool, BNP Paribas Securities Services says it aims to be able to predict the likelihood of a delayed “trade matching”, ascertain the contributors to the delay and suggest a pre-designed email template to be sent by the middle office operational team to relevant clients. He explains that Smart Chaser will analyse historical data to identify patterns in trades that have required manual intervention in the past and “proactively warn clients and their brokers on their live trading activity so they can take action promptly”. In terms of the latter action, Durif says BNP Paribas Securities Services has reached around 98% prediction accuracy. BNP Paribas Securities Services has acquired a minority stake in an Fortia Financial Solutions. This deal helps Fortia, a start-up that provides compliance software to the financial services industry, cement the relationship it formed with the bank during the inaugural session of the fintech accelerator by L'Atelier BNP Paribas. Transaction sees French bank get more action in the States. Janus Henderson Investors has chosen BNP Paribas Securities Services to assume responsibility for most of its back office; fund administration and fund accounting, middle office and custody functions in the US.